A group of Canadians, mostly of Haitian decent, massed in front of the offices of Prime Minister Justin Trudeau in Montreal to say no to the deportation of Haitians to Haiti. 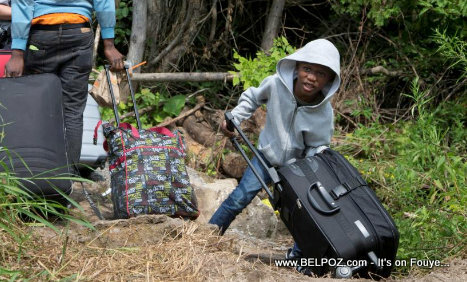 According to news reports, this has been happening on a daily basis where Haitians are being deported back to Haiti. The protesters are asking for a suspension of the deportations and that Haiti be added to the list of country under a moratorium. Reference above informative article, "Montreal Canada: Street protest against the deportation of Haitians." Respectfully, but I contend the following.